The tropical reef inspired design represents “Living Coral”, the hue that Pantone declared to be the official colour of 2019. 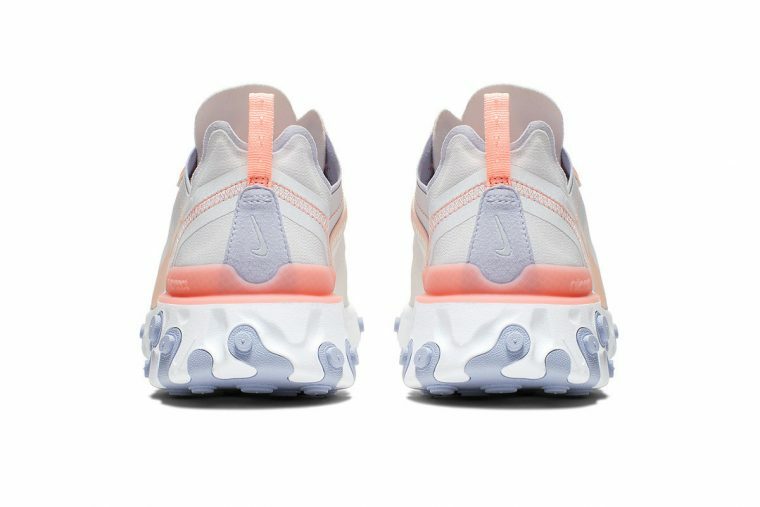 Featuring a combination of beautifully soft materials, a clean shade of white makes up the base of the shoe, which is then highlighted by elements of peachy pink and lilac. 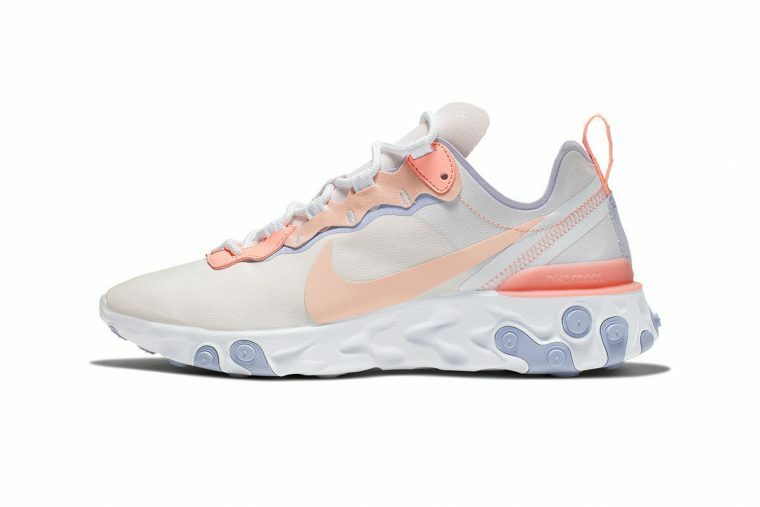 The brand’s signature Swoosh is painted in a delicate pastel tone in this release, while the Nike React stamped heel counter and deconstructed visible stitching arrives in the colour of the year. To complete the look, lavender adds highlights within the cushioned midsole’s signature curls and loops and outlines aspects of the upper for a slightly darker contrast. 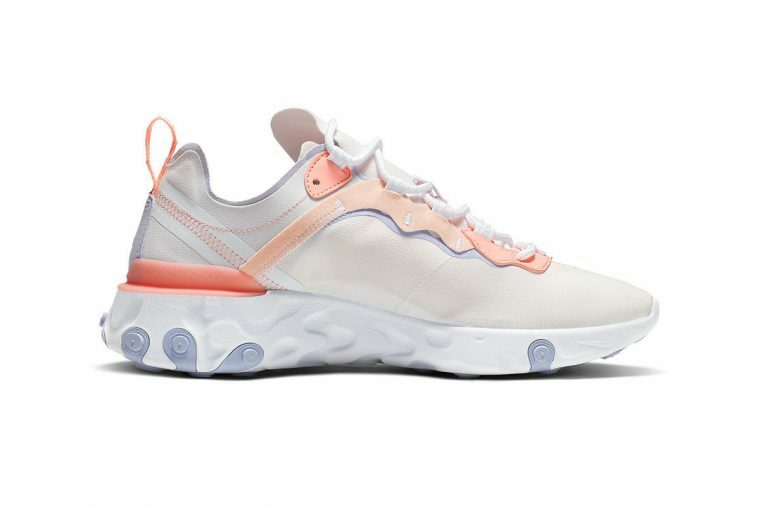 If you’re already planning your SS19 wardrobe around this deliciously sleek sneaker, be sure to stay tuned for more release details and updates from Nike. 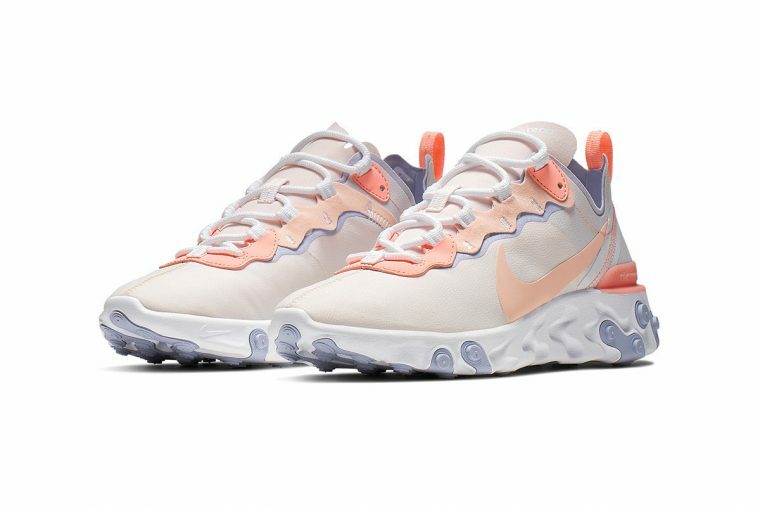 For more women’s exclusive React Element 55 designs, check out our dedicated brand page.